Are you fascinated by paintings, sculpture and architecture? Do you love visiting galleries and exhibitions, and wish you knew more about the history, techniques and terminology of art? If so, our two-year, part-time course in the History of Art might be the right choice for you. Equivalent to the first year of an undergraduate degree, it offers an excellent introduction for students who want to develop their knowledge of art through structured study. You will learn more about how artworks are made, and receive an overview of the development of Western art from the classical period to the 20th century. You do not need to have any formal qualification or previous study in the subject area. The first year will give you an introduction to techniques, ways of looking at the visual arts, and the necessary terms that will underpin all further study. In the second year, you will explore various historical periods in art in greater depth. Tutors will lead visits to museums and art galleries throughout the course, with trips to current exhibitions whenever possible. 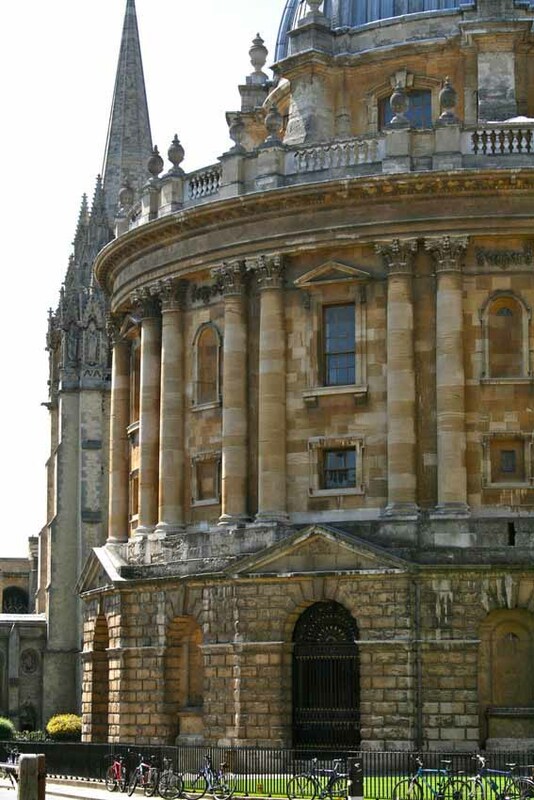 Oxford has a wealth of museums and gallery spaces, and we will take every opportunity to introduce these to you. Completing this course will prepare you well for further study, for example the Department’s Undergraduate Diploma in the History of Art. The open evening for this course will take place on Tuesday 15 January 6.00-8.00pm at Rewley House. If you would like to attend, email undergraduate@conted.ox.ac.uk. We have also held an online open day event for both our Certificate and Diploma programmes, which is available to view. This hour-long presentation is a great opportunity to see the Course Directors discussing both programmes and answering questions. You will need enthusiasm, commitment and a high degree of motivation if you are to enjoy and complete this course. You do not need any formal qualification or previous study of the history of art. We will judge all applicants by the same criteria – an evidence of interest in the subject, the necessary language skills (see below for English language requirements), a determination to succeed and sufficient time available to devote to studying. The course is taught through weekly sessions, held on Wednesday afternoons from 2.00-4.00pm at Ewert House, Ewert Place, Banbury Road, Summertown, Oxford, OX2 7DD. The classes are lively, structured and informative with plenty of time for discussion. Each class will be illustrated with slides and, occasionally, with video material. There will also be study visits to museums and galleries, which we will make every effort to arrange at convenient times. You will need to spend about 8–10 hours in home study per week in term time. In the first year, students will be introduced to art historic methods and be given a broad overview of the development of Western art. A study of colour, subject matter, space, tone, form, composition, etc. In the second year students will study specific art historic periods in greater detail. Guidance will be given about reading and detailed book lists will accompany each module. For Year 1, you must complete five assignments of not more than 1,500 words, and a research project of not more than 3,000 words. For Year 2, you must complete three assignments of not more than 2,000 words, and a research project of not more than 5,000 words. There is no formal examination at the end of the Certificate course. All our tutors are very experienced, not only in their subject but in teaching adult students. They understand the learning needs of students returning to education and will able to advise you on subject-based study skills throughout the course. If you are returning to learning after a period of time the Department has a number of Study Skills workshops to help you with study techniques or to write essays. You can obtain information about the Department’s Study Skills programme by contacting +44 (0)1865 280728.
a statement of 300 words outlining your previous experience of the subject (if any) and your reasons for wishing to enrol on the course. No need to send in written work. The application deadlines are Thursday 7 March and Thursday 9 May 2019. Please do not leave it too late to contact us. Late applications may be considered by the Course Director, but only if places are still available on the course. Short-listed applicants will be invited for interview. The final decision on entry to the course rests with OUDCE. The fee for 2019–20 is £2,475 (Home / EU students) or £4,650 (non-EU students), which includes tuition and tutorials. An option to pay the fee in instalments is available. There may be a small fee increase for the second year of the course. The course fee does not cover entry fees to museums, art galleries or exhibitions. Usually group rates are available and every attempt will be made to keep costs as low as possible by car sharing or by group coach travel. Some books will be recommended for you to purchase but recommendations will be made with costs in mind. After a long break from academia, Sez immersed herself in the History of Art through our Certificate and Diploma programmes. Keiko studied Art History with OUDCE to consolidate her knowledge and to help with her gallery project.